Cover lots of ground without breaking a sweat! 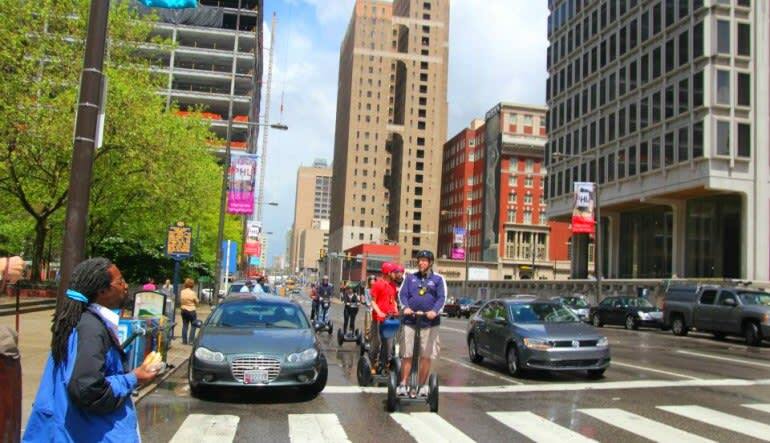 On this Segway tour, Philadelphia’s biggest sites and smallest gems unveil themselves over an hour-long ride through the city. Cover lots of ground without breaking a sweat! 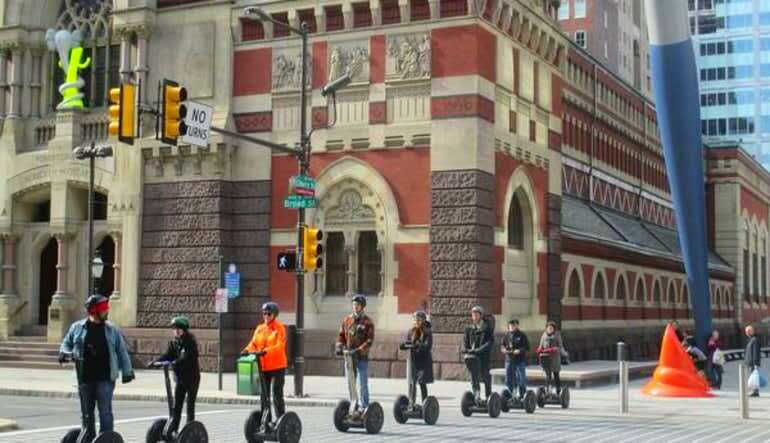 On this Segway tour, Philadelphia’s biggest sites and smallest gems unveil themselves over an hour-long ride through the city. 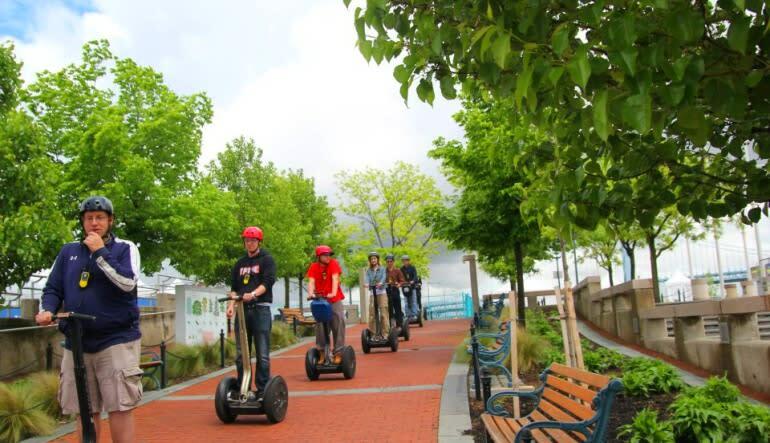 Taking you from Penn’s Landing to South Street and past Society Hill, this Segway tour is about as iconic as the Italian Stallion himself. Meet up with your guide and fellow travelers for a brief Segway riding instruction. Travel through Old City to Penn’s Landing. Take in views of the Benjamin Franklin Bridge and New Jersey. Roll next to the Delaware River and see all the historic ships! Continue to Columbus Boulevard and travel south to the Bella Vista neighborhood. Get a good look at the many striking murals that color the urban landscape. 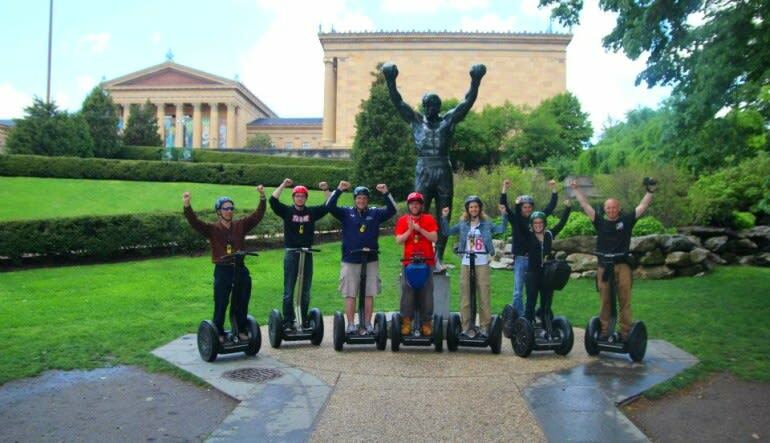 Ride your Segway through Rocky’s old stomping ground, the Italian Market! From there, make your way to South Street and see the Philadelphia Magic Gardens. Next, it’s onto Society Hilly and its historic architecture. 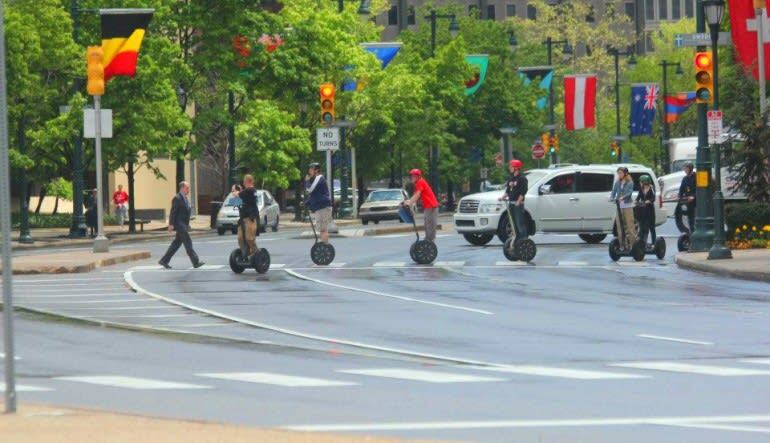 Segway through the Independence Mall area and Race Street. Throughout the entire Segway journey, guides snap shots of all your special moments. Not having to worry about capturing it all yourself gives you more time to be in the now and really take in the scenery. Discover it all today! Really had a good time - Barry our guide was very personable and very attentive.